India has emerged as the fourth-largest revenue earner for Sony - after the US, China and Japan - raking in over Rs 6,000 crore during April-December 2011, the company announced on Tuesday. It pipped Brazil andRussia to climb up from sixth position in previous fiscal year. 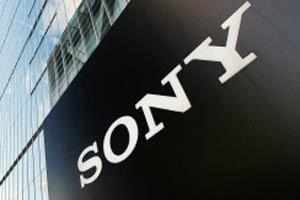 In contrast, Sony reported a 9.6% fall in sales for the year ending March 31, 2012 to 6.49 trillion yen. Its net loss also widened to 456.7 billion yen in the year. Although Sony attributed the rise of India on revenue ladder to the demand for its televisions (it sold 9lakh sets last fiscal, a 20% rise in revenue) and smartphones, which recorded a 50% rise in revenue, the economic slowdown elsewhere also impacted the new rankings. The company, which has reported seven consecutive quarterly losses globally, is expecting a 30-40% growth in India this fiscal year. "We can't expect huge growth on a worldwide basis and have to focus on emerging markets like India and Brazil," Masashi Imamura, senior vice-president, corporate executive, told reporters. Added Kunimasa Suzuki, president and CEO, Sony Mobile, "CEO Kazuo Hirai and I are spending more time on the India market." However, the company said it had no immediate plans to set up a manufacturing facility in India, unlike its Korean or Japanese competitors. "If it is needed, we would think about it, but at the moment there is no plan," said Imamura. "We can still manage with 100% imports," added Sony India MD Kenichiro Hibi.